We recently were winners on the FOUR WEDDINGS show on TLC. THe wedding of Kimberly & Mariano was at the Delray Beach Golf Club on Dec. 27, 2012. It was aired on Feb. 22, 2013 @ 8pm. Check it out. 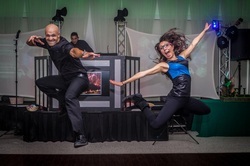 Outrageous Productions is an established group of Entertainers with over 40 years of combined experience. Servicing the entire state of Florida & North America, we take pride in our work. From traditional candle lighting to dancing the Hora, we cater to your personal affair. No two parties are ever alike. Outrageous Productions has the MOST extensive song library in Florida. We have everything and anything. The largest selection for candle lighting and party music, we use only digital music both on CD and mp3. If you choose turntables, we have the most experienced club DJs in South Florida working for us. Outrageous Productions can handle all sizes of corporate events. We can provide you with Entertainment, Video, Photography, Photo Booth, Magic, Karaoke, Balloons, Flowers, Catering and even find you a place to host your event. We ALSO specialize in Homecomings, Proms, Graduations, and all school events. 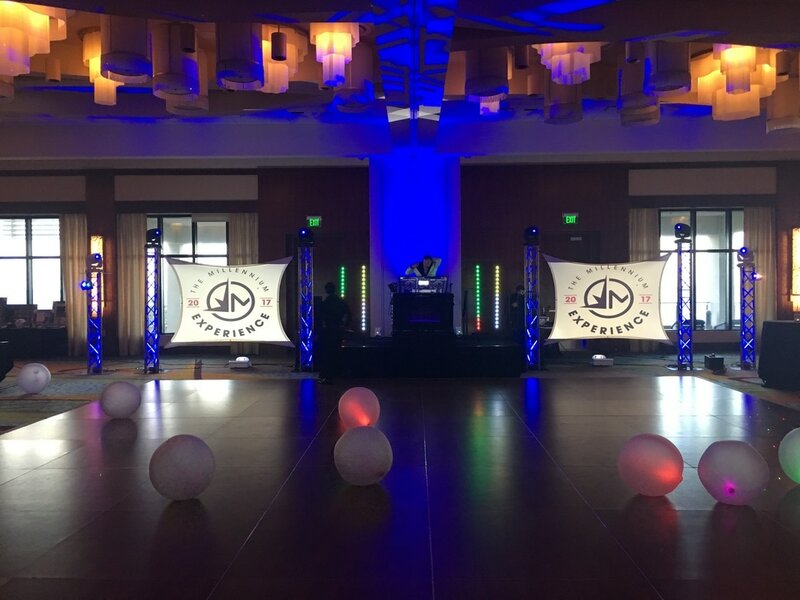 We have large sound systems with that extra bass that the kids love and a variety of different size video screens with projectors to have a live simulcast of your party. We offer an MTV STYLE VIDEO PARTY with the newest DVD MUSIC VIDEOS. All our music is radio edits, there is NO profanity in any of our vast music library. We are proud preferred vendors at the following locations: The Coach House, Delray Beach Golf Club, LakeSide Terrace, Old Davie School House, Westchester Country Club, Morikami Japanese Gardens, Benvenutos, The BeachComber, Waterstone Resort, The Surf Club, The Pembroke Lakes Country Club, The New Library of Boca Raton & WE ARE The official Pepsi Zone DJ for the Miami Dolphins & University of Miami Hurricanes and Orange Bowl & BCS Championship games. "In just one word..."Fantastic." Our wedding was planned for months, the music was just right, and the lighting display made our wedding a wonderful time. Thank you Outrageous Productions for all your help."-P.K. 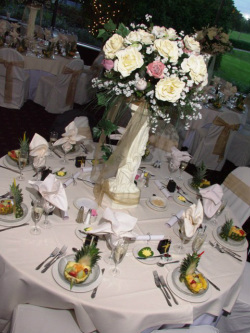 "Our frinds and family would like to thank you for making our wedding night one to remember. The music selection was just as we spoke about, and the up-lights looked elegant and beautiful. Thank you Outrageous Productions!"-I.R. "Outrageous Productions ~ Party hard DJs.... The best wedding I've been to in a while!!!!"-L.K. "Excellent DJs! Thank you once again guys. Our event would not have been the same without Outrageous Productions. You guys made everybody dance, all 200 of us. I can't thank you enough. Look forward to next year's event."-D.F. "Boca's Best DJ! If you're looking for a DJ to get a feel for your event and keep the party going... you've found what you are looking for! Very impressed with Outrageous Productions."J.M. "They are out of site!! I will be calling Outrageous Productions for my company's next event!"-L.F. "AMAZING Company! Brett and the staff from Outrageous Productions were awesome! Music for my wedding was so good I think I only sat down once to catch my breath. Guests are still talking to me about how great and friendly everyone was. If you choose Outrageous Productions you will not be disappointed at all. Many thanks to everyone at Outrageous Productions for making my day unforgettable in many many ways :)"-P.A. "Brett was incredible! He is so personable, has such an upbeat personality, and really knows his stuff when it comes to a huge variety of music. He really takes the time to get to know you and determine what style of music is appropriate for you and your event. Outrageous Productions is Highly, highly recommended!"-G.G. "Best wedding DJ! Thank you to the professionals at Outrageous Productions! The music was perfect and the guests had a great time! Also great video and picture quality all packaged in an affordable price."-Q.W. "Exceeded all expectations ~ We got married last year in Deray and had friends recommend Outrageous Productions. We could not have made a better choice for Wedding DJ. The music was perfect from the initial cocktail hour through the entire party. They also played music for all age groups without making it cheesy. 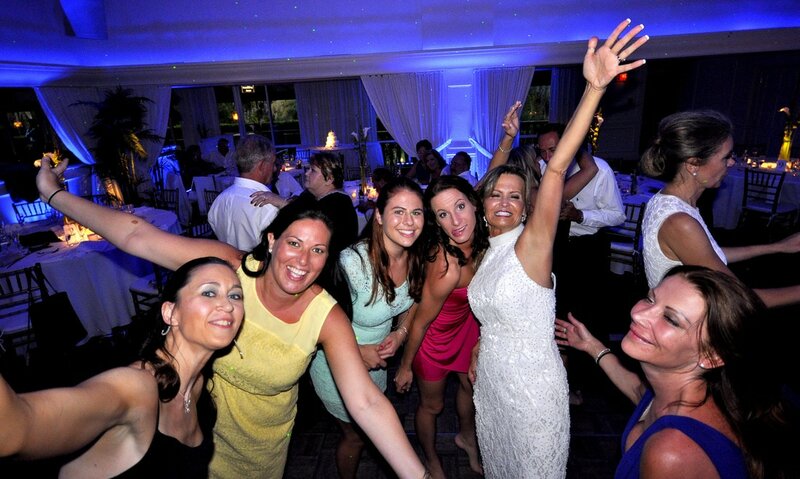 If You are looking for a Delray Wedding DJ, I would highly recommend Outrageous Productions."-E.Z. "Awesome Wedding DJ! My party was off the hook. My inbox was flooded for a week after with people telling me that they've never danced so much. The music was great, it was the best reception ever, all that. Even my mother was dancing and let me tell you, that is a real accomplishment. I don't throw bangers like that very often, but Outrageous Productions is going to be my #1 choice for the next one."-D.B. 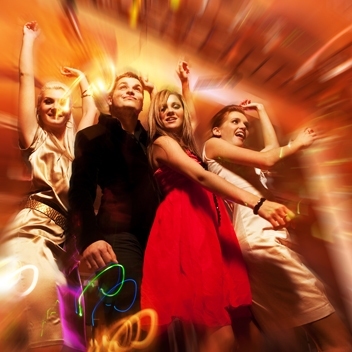 "If you are looking for a Disc Jockey for party entertainment you have come to the right place. We used Outrageous Productions for our company party planning and they were amazing. 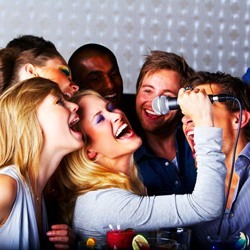 I highly recommend them for all your party needs."-F.S. "Outrageous Productions did an excellent job! I could not have been happier with their work and for the price it was a bargain! They literally had everyone on the dance floor for the whole night and we have gotten so many compliments on how good the music and comments that it was the funnest wedding they have ever attended. I have already recommended Outrageous Productions to 3 of my friends getting married."-R.W. "Excellent entertainment! Outrageous Productions really made the party fun and could read the crowd well. Great personality as well!! If you can get Kenny, you won't be disappointed."-N.A. "Our wedding was so much fun! Outrageous Productions was awesome and had everyone up and dancing all night. It was great!!"-H.M. "I used Brett with Outrageous Productions for my DJ. He was excellent. He came to my house to meet me and my husband to talk about wedding details. He was willing to help with anything I needed. He knew the place I had my wedding at so it made the flow of everything go so well. He also came to my rehearsal so he knew exactly what to do and the bridal party knew what to do. He was fun and exciting for the reception. He can read the crowd really well and he listens to what you want for music, toasts and so on. He was excellent."-A.V. "We are so lucky to have found Outrageous Production. Before we booked them, we sat down for an hour to go through our musical likes and dislikes. Kenny was very easy-going and friendly. Very reasonable prices and he was willing to work with our budget. We didn't want a loud, in-your-face DJ, and there were no worries about that with Outrageous Productions. We are so happy that they celebrated our big day with us."-D.C. "We couldn't have been happier with Brett being our wedding DJ. From our first meeting, we knew that he understood our (very particular) music tastes and could trust him to manage this very important part of our wedding. Before meeting Brett from Outrageous Productions, we honestly considered playing music from an ipod given how much we didn't think we'd be able to have any DJ truly 'get' us. Brett proved to be the BEST decision. He took our favorites and added some of his own choice tracks to create an amazing soundscape for the backdrop to the evening. We couldn't recommend Outrageous Productions highly enough!!! "-J.F.